What do cosmetic dental treatments consist of? Cosmetic dentistry is suitable for anyone who would like to improve the appearance of their teeth, and fix any issues with their teeth, like the shape, colour, size, alignment, or condition they are in. Any tooth or smile problem can stop you from smiling and affect your self-confidence. If you have teeth that are stained, chipped, cracked, need straightening, have gaps or missing teeth, then we have a variety of cosmetic procedures to transform the overall look of your teeth and smile. Decayed and broken down teeth can now be restored with tooth coloured (composite resin) filling material, allowing a more natural appearance. They are strong, long lasting and have the added benefit that they are mercury free, unlike silver amalgam fillings. Another advantage of white fillings is that they are conservative and therefore, more of the natural tooth is retained. Their pleasing appearance means that many patients are asking us to replace the silver amalgam fillings with tooth coloured ones. Inlays and onlays are indicated as an alternative to fillings when there is not enough tooth structure to support a filling. They help to protect the remaining tooth structure and require less preparation than a crown. These restorations can be made from porcelain, gold or composite resin, and are made in the dental laboratory. It usually takes two appointments to complete the procedure. 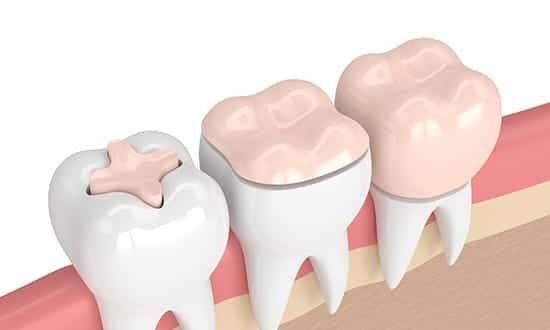 The first stage involves the preparation of the tooth by removing any decay and /or old filling material. 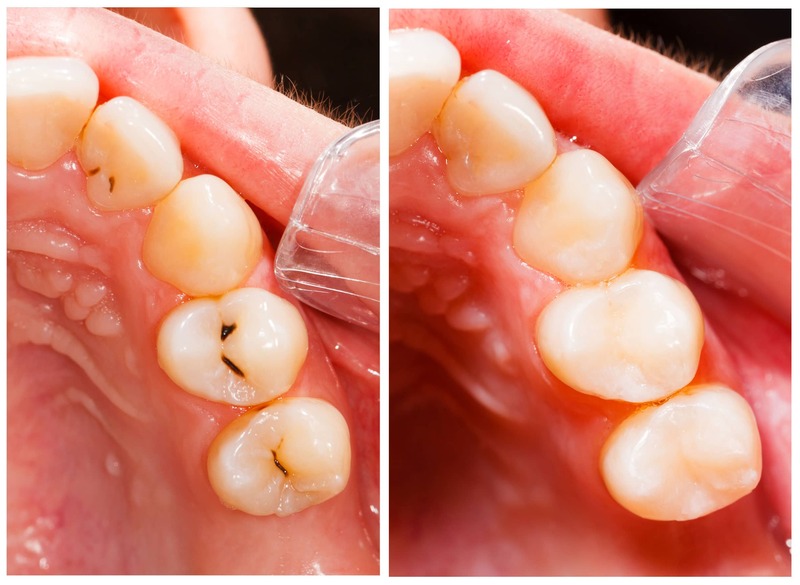 An impression of the tooth is then taken and a temporary filling material fitted. The inlay/onlay is then created by our dental laboratory to perfectly meet the rest of your natural tooth and cemented in place so it resembles a natural tooth. Cosmetic Dentist In Bristol | Dental Touch | Smile Makeovers.